A slice of simplicity for the bedroom that's unfussy yet still pretty. Ideal if you've got a spare room divan that's looking a bit bare. This is a 6ft headboard for a super-king divan. Also available in double and king sizes. The Astor comes in over 100 fabrics, from deep velvets to fresh linens. And why not include some bedroom cushions in the same fabric as your headboard? 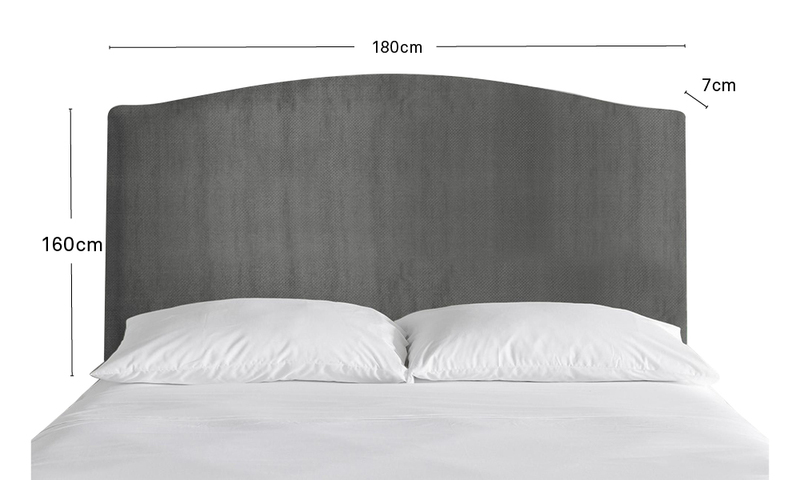 We offer single cushions and sets of two that'll be delivered directly with your headboard.